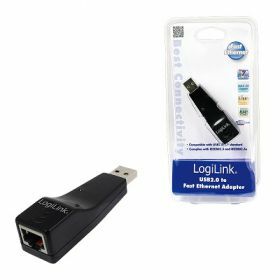 This LogiLink compact adapter allows the operation of devices at a 10 or 100 Mbps network connection on a USB 2.0 port. Ideal as a second network card or for computers and notebooks which do not have a network card. The adapter features automatic speed detection and displays the network as well as the USB port status via LED.